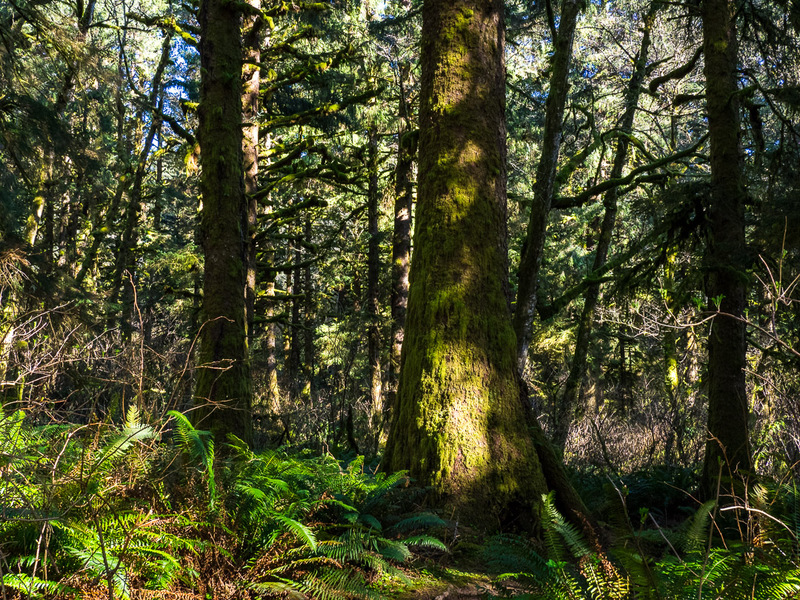 The year round open lower Nature Conservancy Trail is a moderate 4.2-mile hike up Cascade Head, gaining 1200 feet of elevation. 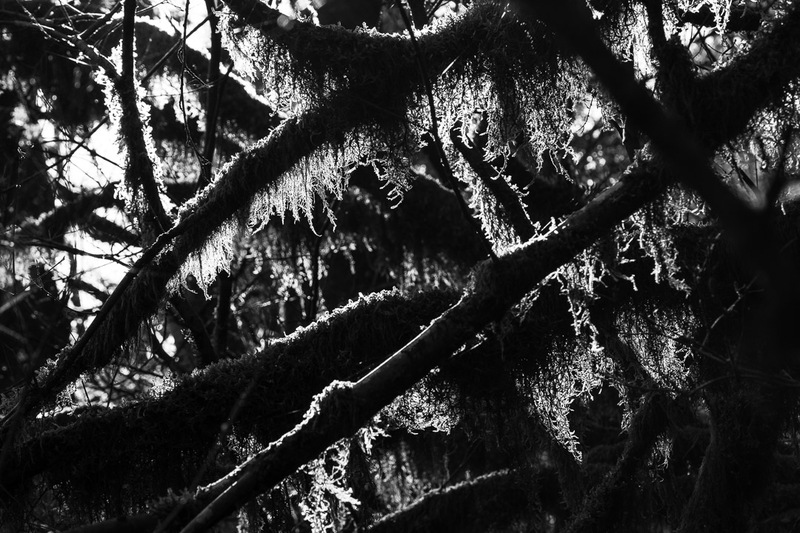 The trail initially crosses a couple of small streams on bridges, then enters a forest of large, gnarled spruce covered with moss and surrounded by big ferns, climbing steadily upwards. 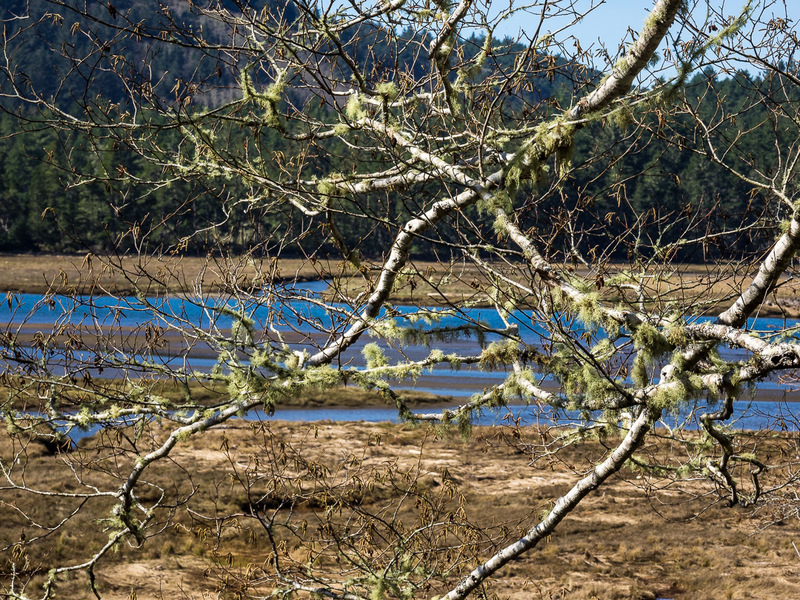 After 1.1 miles I exited the woods onto the meadows with a breathtaking view across the Salmon River estuary. 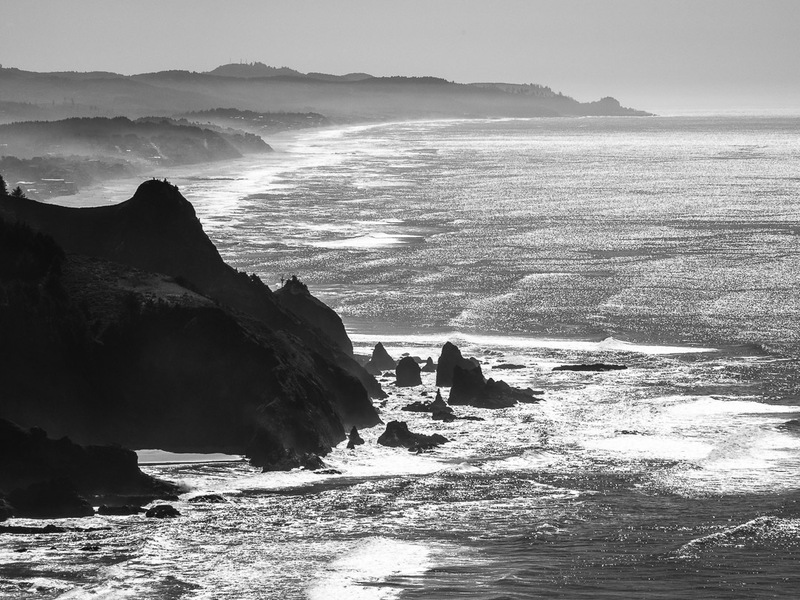 In the distance visible are Cape Foulweather and Lincoln City’s Devils Lake. 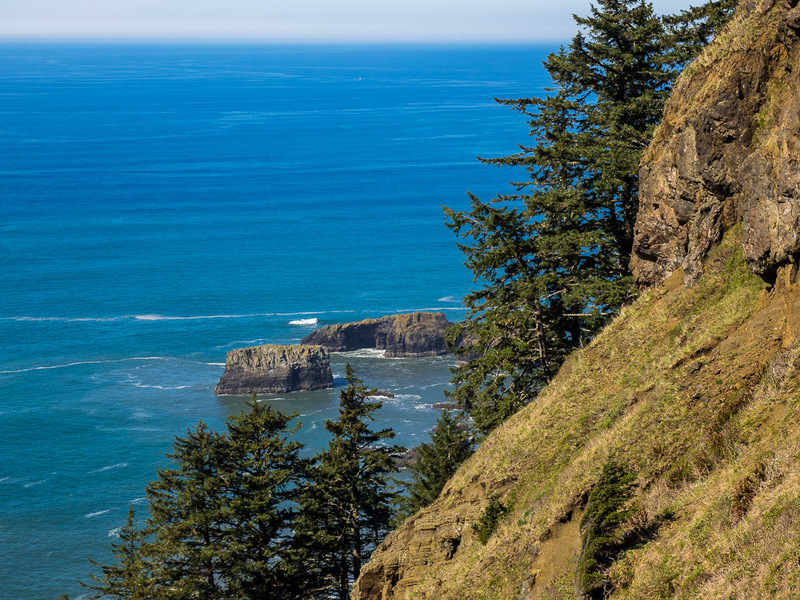 Then the path steepened a lot and climbed to the upper viewpoint, with a splendid vista of the Oregon Coast and the sparkling Pacific Ocean. A great hike, with the views getting better as I gained altitude. But see yourself…. The vista from the upper viewpoint of the trail is spectacular. I just sat in the sun and enjoyed looking out over the Pacific Ocean. I even managed to spot some whales blowing steam, probably some resident Grey Whales living year round near Lincoln City and Depoe Bay, but they were too far off to photograph. From up here departs also the upper trail on to Harts Cove, but it is only open from mid July to mid December, to protect rare wildlife, so I didn’t get to do it. But for sure a reason to return in summer, when the meadows high above the Pacific are ablaze with flowers. 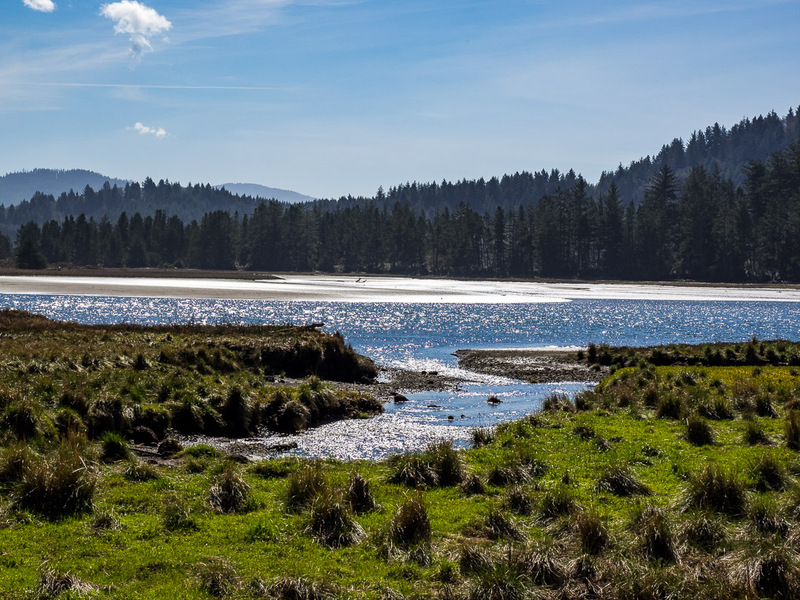 Finally I descended once more through the fairylike Siuslaw National Forest. 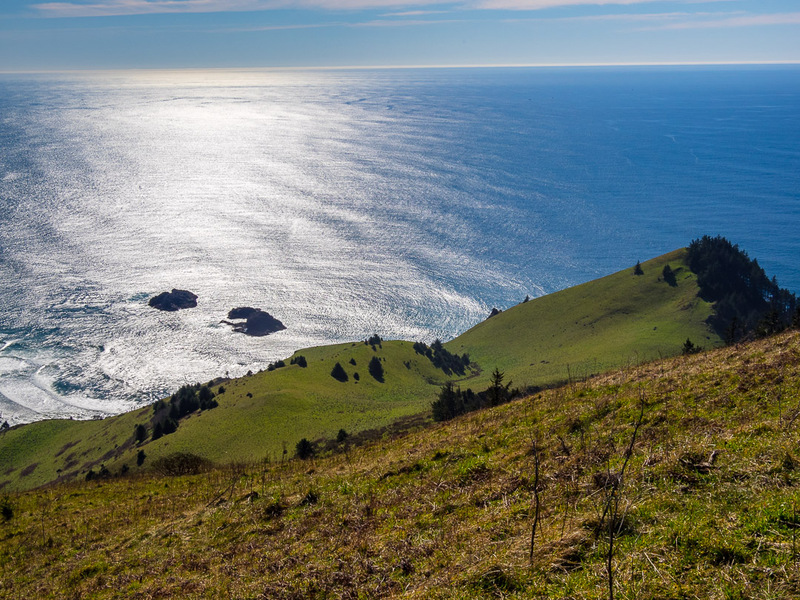 For the hike up Cascade Head I brought my Olympus OM-D E-M1 with the mZuiko 12-100mm F/4 Pro Zoom. RAW conversion and post processing (mainly some de-hazing and contrast adjustments) was done in Lightroom Classic CC. I also used my iPhone 6s to take some panoramic shots. All in all I was 3.5 hours on the trail, covering 5 miles and 2400 ft of altitude difference. But that included plenty of photo stops and a good amount of relaxing in the warm spring sun, taking in the splendid view. Stunning photos! 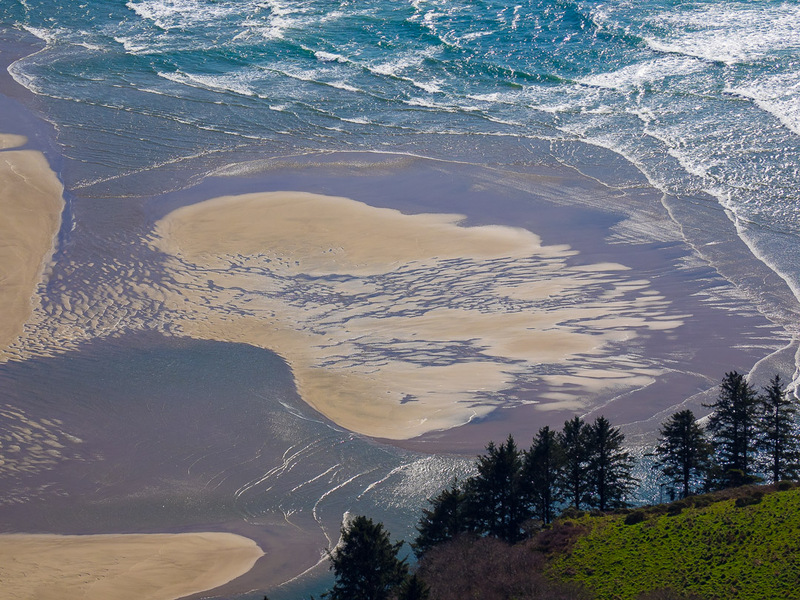 I have been to the Oregon Coast however we haven’t hiked there yet. It is certainly on the bucket list. Thanks for the post! Thank you for sharing! This was wonderful to read and look through. Wow- Just …wow! Your images are just gorgeous!!! Incredible photos. I need to get out west. Love how you enter the photo details as well. Wow! This place looks too good to be true. Is there a better place to appreciate the beginning of spring? Thank you so much for the reblog, Douglas! a very favorite place in the world for me. beautiful work and made me homesick! you are always welcome sir! Marcus, I’m pleased you had such a great time. I miss that area for its beauty. 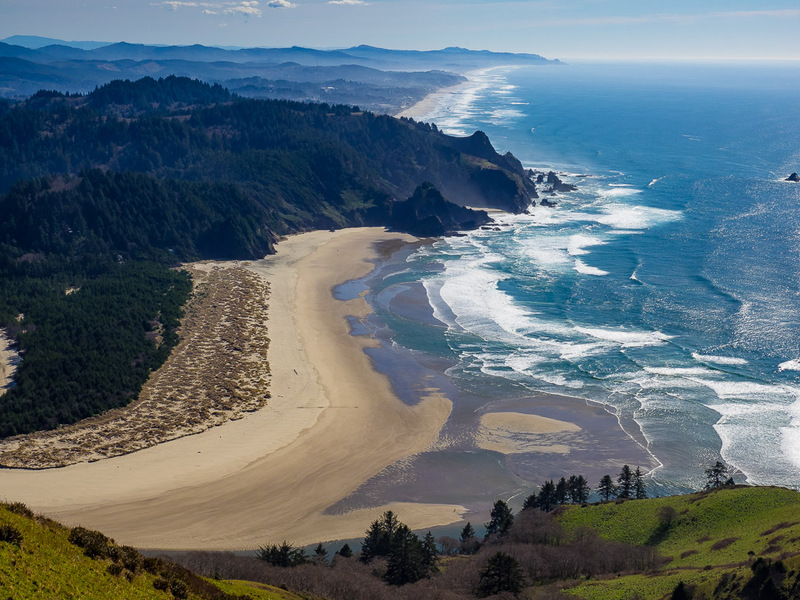 I always wanted to see Oregon Coast and never visited it. Marcus, these are breathtaking photos. You certainly had a fantastic time!!! I enjoyed so much your photographs! Thank you so much for your kind words, Kaya! The coast is so much worth visiting. Utah is not that fair away 😉 ! Incredibly stunning photos as usual! Of course I love them even more because they are of the Pacific Northwest! That first shot is perfection! I just finished reading a book called Astoria by Peter Stark that you might enjoy. 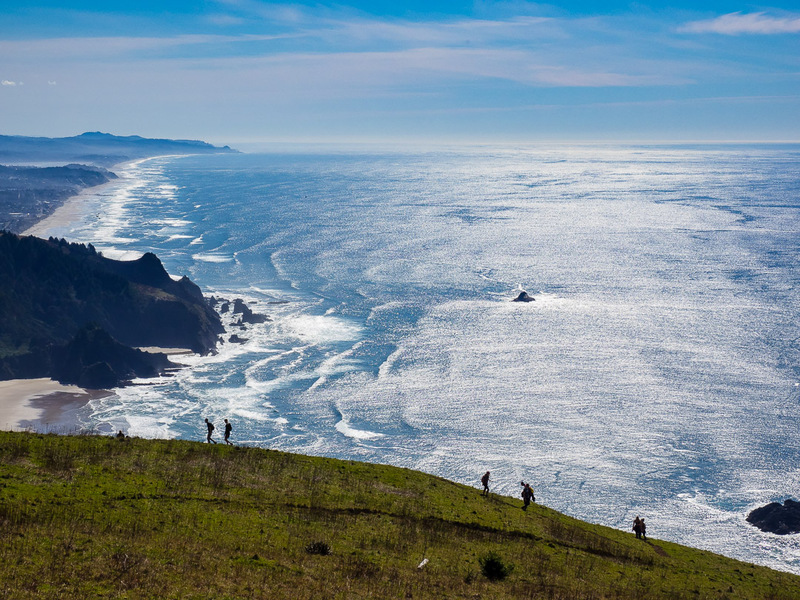 It tells the story of an early attempt to create an American empire on the Pacific coast! You’ll recognize a lot of the landscape and its a great story! This is a great post! 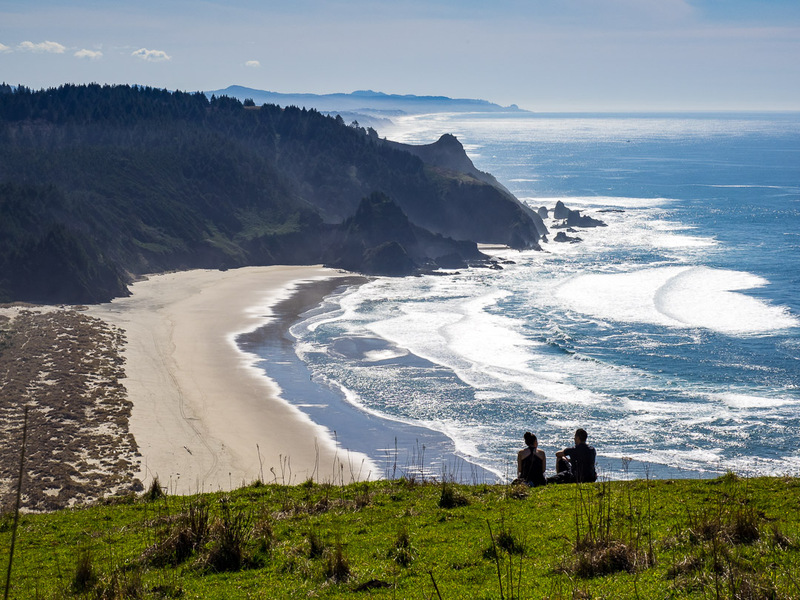 My brother and I are thinking about visiting Oregon together this summer, so thanks for the tips and photos! Thanks for your kind words, Cate. You should really consider coming to Oregon, it is so beautiful. That’s what I will do as well, bringing my family over for a three week summer vacation in the Pacific Northwest. That will be SO much fun!!! I’ve only been out west once this September, and I’d love to see more of it! I know you and your family will have a great time this summer! STUNNING images, Marcus! You have a gift for capturing the beauty of this gorgeous region. Beautiful scenery. Makes me want to go to the west coast. I’ve only been to San Francisco, which I loved, but that was 35 years ago. Thanks, Carol! It is a beautiful region, the Pacific Northwest. Always worth a visit! Just the kind of terrain I would love to join. Even weather seems perfect for the hiking. Love the pano shot taken from your phone, Marcus! Breath taking views! Great photos! Thanks, Wiebke! Hopefully you did go out into the sun!! Here it was raining all day long….